Adam Lallana was forced to withdraw from the England squad ahead of their matches against Spain and Switzerland after the Liverpool midfielder suffered a groin injury. Lallana had been recalled for the forthcoming UEFA Nations League clash with Spain at Wembley on Saturday and the friendly against Switzerland in Leicester on Tuesday. But Lallana sustained a groin strain in the first training session at England's St George's Park base and headed back to Liverpool for checks on the problem. It is the latest injury setback for the 30-year-old, who also missed out on a World Cup place due to fitness issues. 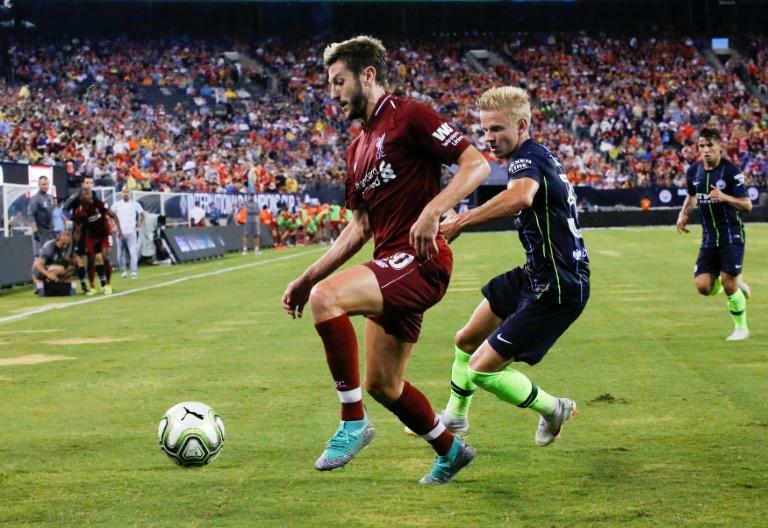 Lallana was on the bench for Liverpool's first four games of the Premier League season, with his one appearance coming as a late substitute against Crystal Palace. "Adam Lallana has returned to his club for further assessment of a groin strain," an FA statement read. "The Liverpool player was withdrawn from training earlier this afternoon and will play no part in England's forthcoming fixtures against Spain and Switzerland." Lallana's injury blow comes after Manchester City winger Raheem Sterling pulled out of Gareth Southgate's squad on Monday due to a back problem. Yahoo Poll: Which Singapore MRT map do you prefer?